Home » News » Ready Debut May 15, Honor 10 Will Be Coming with 8GB RAM! Ready Debut May 15, Honor 10 Will Be Coming with 8GB RAM! On March 27, 2018, Huawei officially introduced its newest smartphone Huawei P20 and P20 Pro in Paris. Both Huawei smartphones carry the design of the screen bangs. But it seems the same design will continue to the latest smartphone to be launched by sub-brand Huawei, namely Honor. Based on the latest leaked mentions that the latest generation smartphone honor that will be called with honorarium 10, will be ready to be launched on May 15, 2018. Huawei has posted an invitation to the media to attend a press conference to be held in London on May 15, 2018. 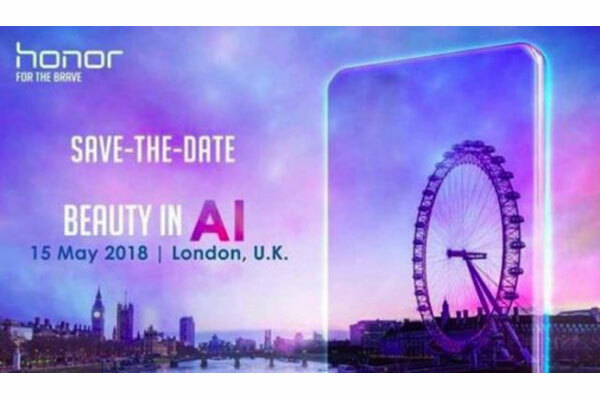 The invitation clearly states, "Beauty in AI". Sure, it does not explicitly write "Honor 10" series or brand, but if it is linked to previous information leaked from an insider source, the invitation will indeed be the launching event of Honor 10. As expected, Honor 10 will be equipped with AI and a much improved beutification technology such as those present at Huawei P20. If this rumor is linked to some leaked images before, it was revealed that Honor 10 will be equipped with a dual camera feature which is placed on the back of the body. Although other design features are still not seen much, the back of the body clearly shows the camera lens. Another rumor says that Honor 10 will be equipped with the same specifications as Honor View 10. If its predecessor smartphone that is Honor 9 Lite comes with a glass-metal design that adopts the concept of premium is quite fascinating, then there is a possibility that the same design will continue with Honor 10. In the performance sector, Honor 10 will be equipped with a powerful Kirin 970 processor, and will be present in two variants of each 6GB RAM and 8GB of RAM. 0 Response to "Ready Debut May 15, Honor 10 Will Be Coming with 8GB RAM!"